This Colonial Revival style building has two stories and a slate roof. The structure has been altered. The building has 3-bay, wood framing, and a hipped roof with slate shingles. There are modillions on the eaves, 1 large brick interior chimney, and 1 large Left sidewall chimney. There are 3 gabled dormers on the front, 1 gabled dormer on the Left side, and corner pilasters. There is also a large 2-story hipped roof rear ell with a 1-story extension wrapping around it. There are some intact 6-o-1 windows, 2 Doric columns at the opening to the recessed entrance (once a freestanding entrance porch), and a gabled rear entry on the left side of the rear ell (added before 1911). 1854 Clark Map labeled house as “H. W. Taft” then 1876 Beers Map labeled it as “Mrs. Wm. Thompson” (demolished); current house first depicted on 1893 Sanborn Map. This is the earlier of two houses owned as summer cottages by Florence Bishop, in 1885. The cottages were generally rented to summer visitors, or used to house overflow from the Bishop’s estate, Interlaken (dem.). After its purchase in 1949, by Karl and Sophie Grosser, this house became a restaurant and Inn. October 8, 1874 built by Henry W. Bishop, sold to Ellen L. Thompson, then bought by William Curtis. October 17, 1885 Florence Bishop purchased from William Curtis. January 31, 1921 Florence V.C. Parsons from Cortland L. Bishop. November 22, 1949 purchased by Louis C. Ardel and Albert Blaser. ___________, 1949 purchased by Karl and Sophie Grosser and run as a restaurant called Chef Karl’s. April 29, 1963, purchased by John and Ann Pedretti and run as a restaurant called The Toby Jug. 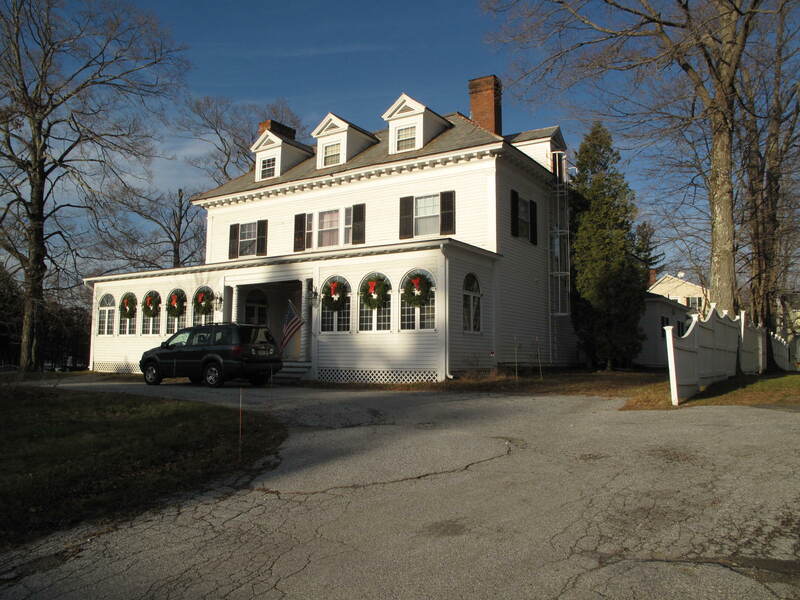 October 7, 1977, purchased by James DeMayo and run as a restaurant and inn called The Candlelight Inn. September 1985, purchased by Robert Artig and Marsha Heller and run as a restaurant and inn called The Candlelight Inn. August 19, 2002, purchased by John M. Hedgecock. September 19, 2002, purchased by Rebecca M. Hedgecock. August 31,m 2004, purchased by William G. C. Dakin.